WASHINGTON — Aerojet Rocketdyne announced a second phase of the company’s consolidation plan April 10 that includes moving development of rocket engines from a decades-old California facility. Aerojet Rocketdyne said this next phase of the company’s Competitive Improvement Program is intended to create additional cost savings of $85 million a year on top of the $145 million a year it expects from the first phase of that program, announced in 2015. “Given the dynamic nature of this industry, strategic business decisions such as these, while difficult, are critical to establishing a solid course for our future,” Eileen Drake, president and chief executive of Aerojet Rocketdyne, said in a statement issued after markets closed April 10. The biggest element of this phase of the work is the shift of engine development work from the company’s facility in the Sacramento suburb of Rancho Cordova, California. That site, used by Aerojet and other aerospace companies since the 1950s, had been used to build and test a variety of solid- and liquid-fuel engines, including the third stage of the Saturn 5 rockets used for the Apollo missions to the moon. Aerojet Rocketdyne said it will move defense-related projects from Sacramento to Huntsville, Alabama, by the end of 2018. Other work will shift to company facilities in Southern California. 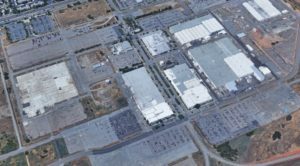 The Sacramento site will become a “Shared Services Center of Excellence,” primarily hosting back-office services, once the company completes manufacturing work there by 2019. The company said 1,100 of the current 1,400 jobs at the Sacramento facility will be relocated or eliminated. The site had also long served as the company’s headquarters, but in mid-2016 its parent company, Aerojet Rocketdyne Holdings, moved its headquarters to the Los Angeles suburb of El Segundo, California. In addition to the Sacramento site, Aerojet Rocketdyne plans to close its facility in Gainesville, Virginia, by the third quarter of 2018. The work there, including engineering and design work for missile programs, will move to Huntsville and another company plant in Orange, Virginia. About 170 jobs in Gainesville will be relocated or eliminated. The winner in this consolidation is Huntsville. The company said it expects to add 800 jobs there as a result of moving work from California and Virginia. Huntsville is the site of the defense headquarters for the company. In January, the company announced it would build AR1 engines there, creating 100 jobs. The AR1 is an engine under development by Aerojet Rocketdyne for potential use in United Launch Alliance’s next-generation Vulcan launch vehicle. In interviews last week at the 33rd Space Symposium in Colorado Springs, Aerojet executives said work on the AR1 remained on schedule, with test-firings planned for 2018 and final certification in 2019. ULA, though, has indicated that the BE-4 engine under development by Blue Origin remains the front-runner to be used on Vulcan’s first stage. That engine is set to begin a series of test firing at Blue Origin’s West Texas test site in the next several weeks, and ULA President and Chief Executive Tory Bruno said in an April 5 interview that, if the BE-4 passes those tests, he will likely select it for use on Vulcan. Aerojet Rocketdyne has argued that it believes that the AR1 is the lowest-risk option for use on Vulcan, noting its performance is similar to the Russian-built RD-180 engine currently used on the Atlas 5. Company officials said that, regardless of ULA’s decision, they plan to continue development of the AR1 under an Air Force contract and, if needed, seek other opportunities for the engine. Aerojet Rocketdyne estimates the overall cost of its Competitive Improvement Program to be $235.1 million, including $122.1 million for the second phase of the effort. According to a filing with the Securities and Exchange Commission, the company said the cost of the second phase includes $65.2 million in employee-related costs, $36.2 million in facility costs, and $20.7 million in other costs, including product requalification and knowledge transfer.